The price of the new SUV - Mercedes-Maybach G 650 Landaulet will vary from 300 to 400 thousand dollars. The car will be longer than its predecessor, its wheelbase will reach 3.4 meters. 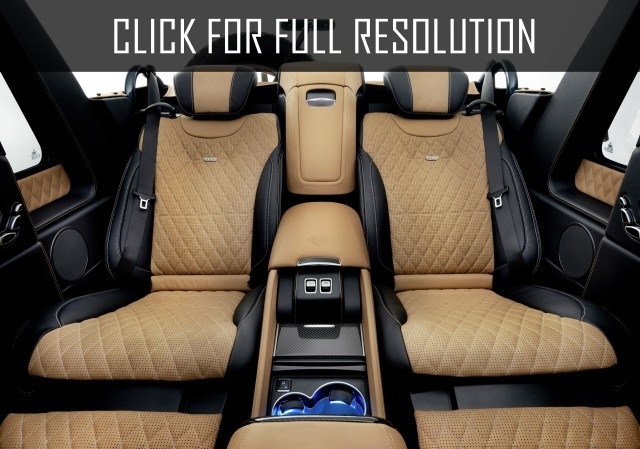 Thanks to the increased distance between axes, passengers of the back row will receive more space, instead of a sofa, several armchairs are located in the cabin of the SUV. In the technical plan, practically, Mercedes-Maybach G 650 Landaulet was not changed, it only had a new suspender which makes the drive more comfortable. Also, the SUV received V12 engine which can generate up to 630 hp. The novelty will be released in limited edition, only 99 such cars will be assembled.